Before we get into the best single-room humidifiers, it would be good to understand what are some of the benefits that a humidifier can bring to you, your home and your health. The country or region you live in will have a big impact on humidity, especially when the seasons change. Humidity is higher during summer and decreases during winter. You wouldn't want too high or too low a humidity level as both can cause problems. Too High Humidity - It can feel oppressive as sweat doesn't evaporate and provide cooling. 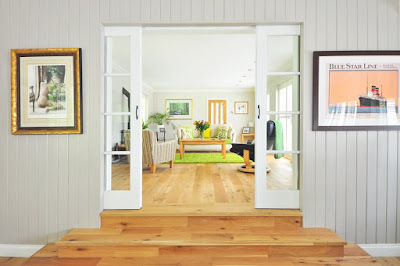 It can make your home feel suffocating and airless. One common way to describe it would be the feeling of a "lack of ventilation". High humidity levels seem to trigger asthma and allergies. Too Low Humidity - On the other hand of the spectrum, when humidity levels are too low, you might encounter more frequent nosebleeds, feel your nasal and air passages have dried up, have dry-eyes and dry skin. It's not just our bodies that are affected by low humidity. Wooden furniture tends to dry out and crack and there have been cases of books and artwork being ruined by the dry air. As mentioned at the start of the article, humidifiers come in all shape and sizes. They even have different humidifying mechanisms and features. Here are some of the main types that you'll come across when deciding which humidifier to buy. Central humidifiers - These are also referred to as Whole-house humidifiers and they add moisture to the entire home. They're usually combined with the furnace system and can be retrofitted to your existing furnace if need be. Ultrasonic cool-mist humidifiers - These are really popular on the market. Ultrasonic humidifiers produce a cool-mist using ultrasonic waves. They're silent because ultrasonic waves are above the band our ears can detect. Evaporative humidifiers - Evaporative humidifiers pass air over a wet wick using a fan. The fan makes them noisy. Impeller humidifiers - Impeller humidifiers use rotating discs to fling water over a diffuser. The diffuser then breaks the water particles into fine mist. Like evaporative humidifiers, these tend to be more noisy. Vaporizers - Vaporizers humidify the room by boiling water to create steam. The steam is usually cooled slightly before it is let out into the room. If you have young children or pets, it is definitely better to avoid vaporizers as the boiling water are a burn hazard. When it comes to choosing the best humidifier for you and your family there are a few factors you need to consider. Do you want to humidify the whole house or just a room or two? Do you want a portable humidifier or a device that is fixed. If you have young children or pets, it would probably be better to get a cool-mist humidifier instead of a vaporizer. Another important consideration that many overlook is how sensitive to noise they are. If you're very sensitive to the rotating blades of a fan or disc, it would be better to get an ultrasonic humidifier. After reviewing many brands as well as the top-selling humidifiers on Amazon, here are in our opinion, the best humidifiers for a single room or small house. 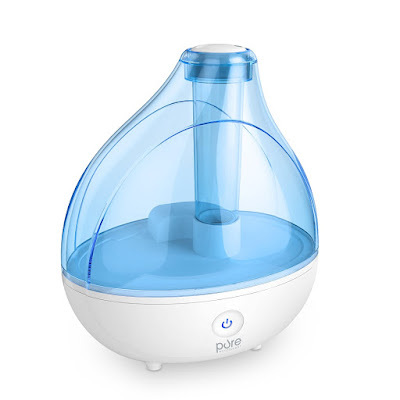 The Pure Enrichment Ultrasonic Humidifier is the current best-selling humidifier on Amazon and it's easy to see why. It is super quiet and humidifies your room for up to 16 hours continuously - automatically shutting off when the water tank is empty. No worries about your sleep being disturbed with this humidifier. The Pure Enrichment Ultrasonic Humidifier's water tank can hold 50 ounces (1.5 liters) of water. It doesn't use a filter so you'll need to clean it often with a brush - there's one included in the box. The mist nozzle at the top can be rotated 360 degrees, so you can target the mist in a particular corner of the room, if you should so desire. If you're worried about the humidifier sliding all over the place, have no fear! The base is non-slip, helping it to stay in place. You can use tap water with the Pure Enrichment Cool-Mist Humidifier, although it would probably be better to use distilled water. Tap water can lead to "white dust" when misting and also to a build-up of minerals on the nozzle and inside of the humidifier. As this is an ultrasonic humidifier without an heating of the water, you will need to clean this more regularly than you would a vaporizer, so that mold does not grow inside the tank. To get rid of the mineral build-up, you could use either peroxide or vinegar. Do take note that this is NOT and oil diffuser. Adding oils to the water tank will harm and destroy your humidifier so be sure to avoid doing so. Although it comes with a 2-year warranty, adding oils to the tank would probably void it. Product dimensions: 10.9 inches high x 9.2 inches wide x 6.9 inches deep. Weighs 1.5 lbs. This humidifier from Honeywell is perfect for any small or medium-sized room up to 1,000 square feet - whether its the bedroom, the living room, the kitchen or the baby's room. Available in either white or black color, the Honeywell Germ-Free Cool-Mist Humidifier, as the name suggests, is both a germ-free and a cool-mist humidifier. Unlike the Pure Enrichment Ultrasonic Cool-mist Humidifier reviewed earlier, the Honeywell germ-Free Cool-Mist Humidifier is not ultrasonic. You may be worried about the noise but thanks to Honeywell's QuietCare Technology, this humidifier is 25% less noisy! The Honeywell Germ-Free Cool-Mist Humidifier also kills 99.9% of bacteria with its Antimicrobial filter. Untreated tap water goes from the reservoir tank into an ultraviolet chamber where the UV light kills the pathogens in the water. It is best to use distilled water with this humidifier although you could use tap water. The water tank can hold 130.5 ounces (3.86 liters) and it has a self-regulating evaporative system which will control the amount of moisture added to the room. It is essential that you change the Honeywell Germ-Free Cool-Mist Humidifier's filters per the instruction manual. Mineral deposits and mold will accumulate on the filter over time and you will need to remove and rinse the filter regularly. To remove the layer of white mineral deposits, you could look into using either vinegar or a commercial descaling solution. Take note that this is not an essential oil diffuser. Adding oils to the water tank will clog your humidifier and could void the 3-year limited warranty that the Honeywell Germ-Free Cool-Mist Humidifier comes with. 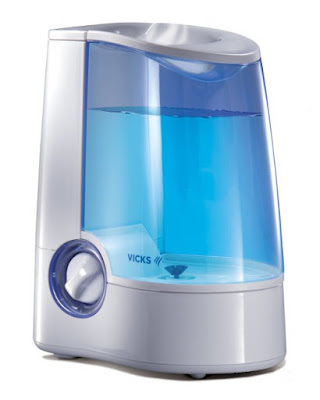 The Vicks Warm Mist Humidifier is an excellent inexpensive humidifier. Unlike the Pure Enrichment Cool-Mist Humidifier and Honeywell Germ-Free Cool-Mist Humidifier, this is a warm-mist humidifier. The humidifier comes with two output settings - High for maximum moisture or larger rooms while Low is ideal for a comfortable humidity level in average-sized rooms. The water tank sends water into the boiling chamber where it is heated until it is pure steam. This kills off 95% of the bacteria and other pathogens and does not leave any white dust. The steam vapor is then cooled by mixing it with dry air and is then released into the room. The Vicks Warm Mist Humidifier does not use filters but you will have to take it apart and clean it from time to time as there will be some mineral deposits around the plastic and the heater. To reduce the amount of cleaning required, you could consider using distilled water instead, although this isn't really necessary unless your tap water contains a lot of minerals. 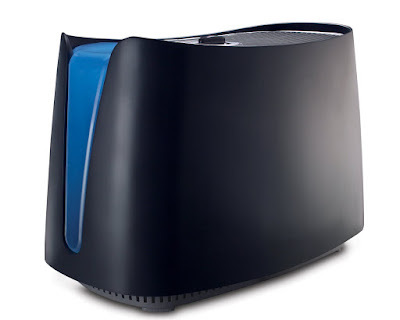 Cleaning the Vicks Warm Mist Humidifier is not difficult as many users have commented. It is easy to figure how to take it apart and put it together back again. Just need to follow the instruction manual that it comes with. While we do not recommend that you do so, some users even buy a new humidifier every time winter comes and dispose of it when winter ends. Do consider donating them to a nearby homeless shelter if you intend to go down this route. As we mentioned in our guide on the difference between a humidifier and a vaporizer, warm-mist humidifiers are not recommended if you have babies, young children, pets or the elderly around. They may knock the humidifier and since there's boiling water, they pose a burn hazard. The noise level depends on the setting. On the "low" setting, it's about as noisy as a boiling pot of water in the adjacent room while on the "high" setting, it can be as noisy as a boiling pot of water in the same room. The water tank can hold 128 ounces (3.785 liters) of water and has a run time of up to 12 hours after which it will automatically shut-off. We recommend that you not rely completely on this auto-shutoff feature. While it works just fine and some users say that they don't shut it off before leaving ht house, it's better to be safe than sorry. Buying a good humidifier for your room or home can make a positive difference for your skin, sinuses, nasal passages, nose, allergies and so much more. I'd recommend that you start by considering whether a cool-mist or warm-mist humidifier is suitable for you. Then, if you're affected by the low humming noise, it would be better to go for ultrasonic humidifiers over other types. 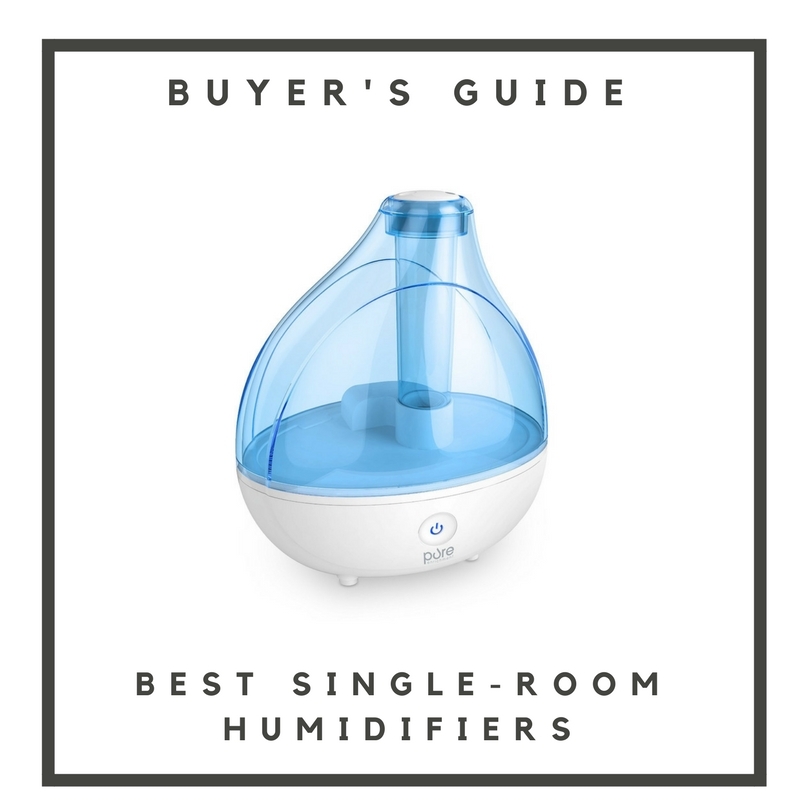 Hope this guide has helped you decide on some of the best single-room humidifiers that are out on the market today. In full disclosure, there are some affiliate links in the article above. Thanks for your support over the past couple of years!